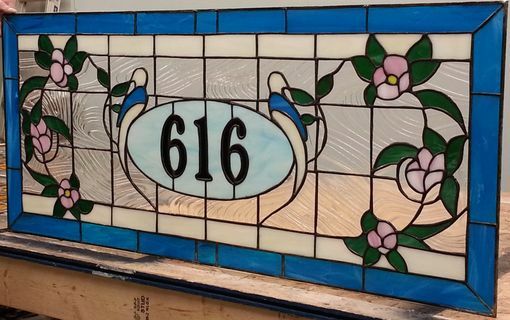 This delicate design is already decorating our customer's front entry with pretty flowers and birds. Size: 35 ⅞" X 15 ⅞". 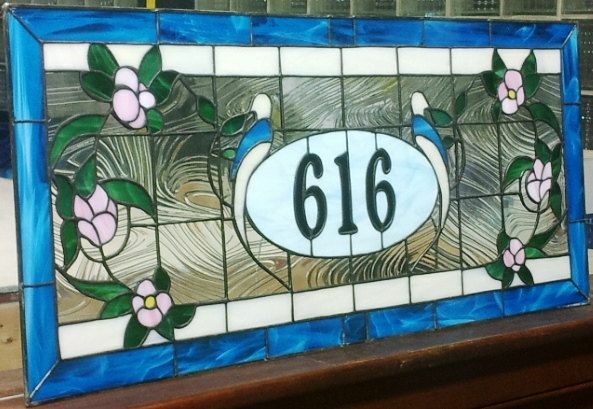 If you want to display your house number in a different and original way, you should consider contacting us to create a beautiful transom window for your home.